Chyawanprash Filling Machine – Chyawanprash is something related to our immune system. Hence while the filling process is executed, the proper standard of quality needs to be maintained in terms of health and hygiene. 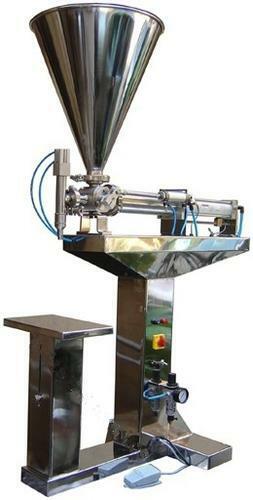 Direct hand contact is not preferred for food items so various filling machines are being used. The company of Maharashtra vista technopack machines has been a manufacturer of similar Chyawanprash Filling Machine, which is extensively used by the export along with the supplier. The point of comparison is efficiency level, pricing of the machines or capability to run it for prolonged hours, it outweighs itself from other similar machine producing company. This machine even ensures that the filling is one so carefully that it would be used for a longer period and the quality is not hampered before the expiry date of the product.